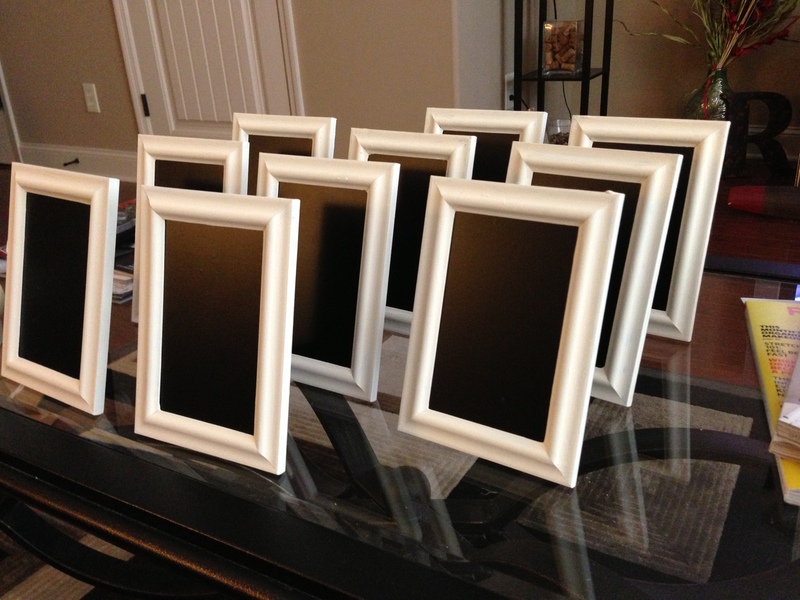 Throughout the wedding planning process, I was painfully aware that many of the items we bought or made would only be once…so I was determined to make as many pieces of decor as possible as inexpensively as possible. 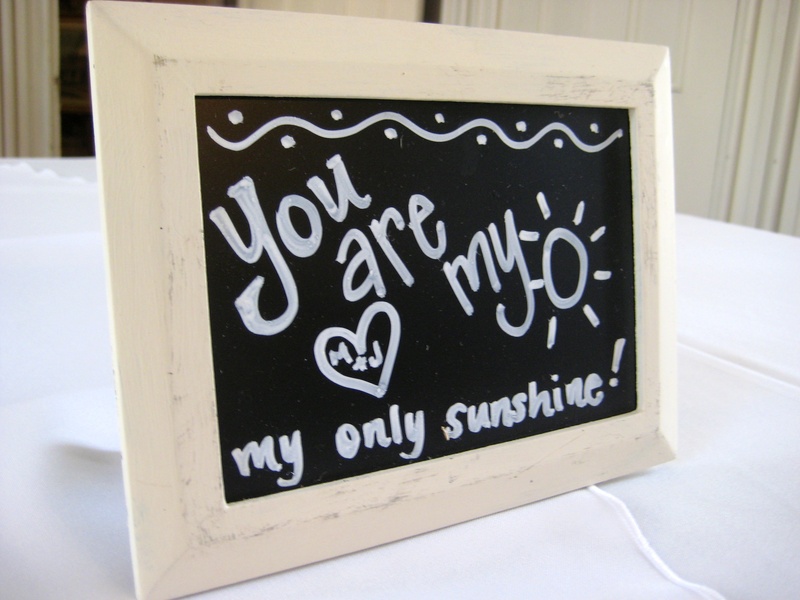 The easiest thing to make cheap is, in fact, chalkboards. 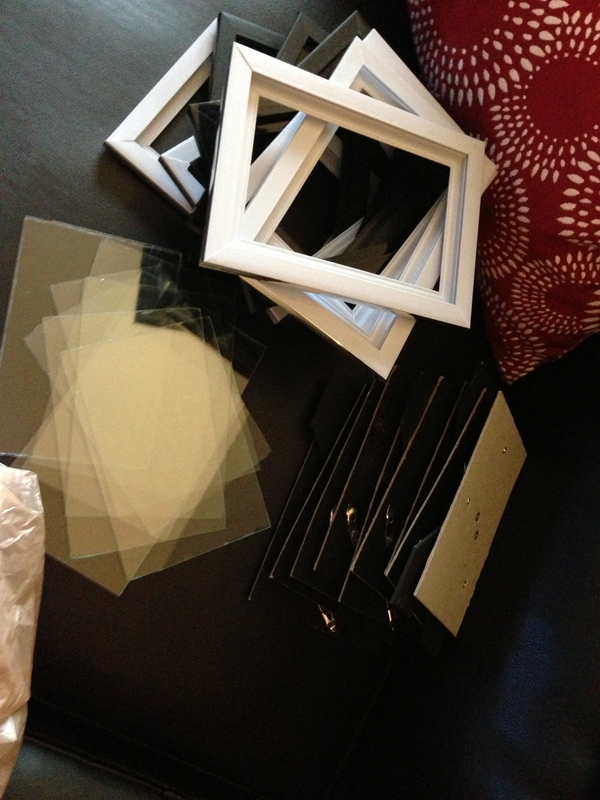 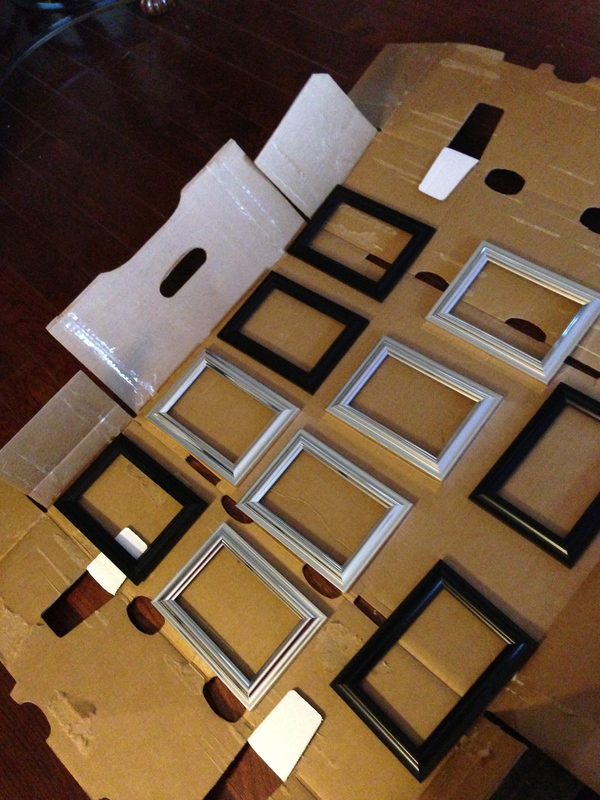 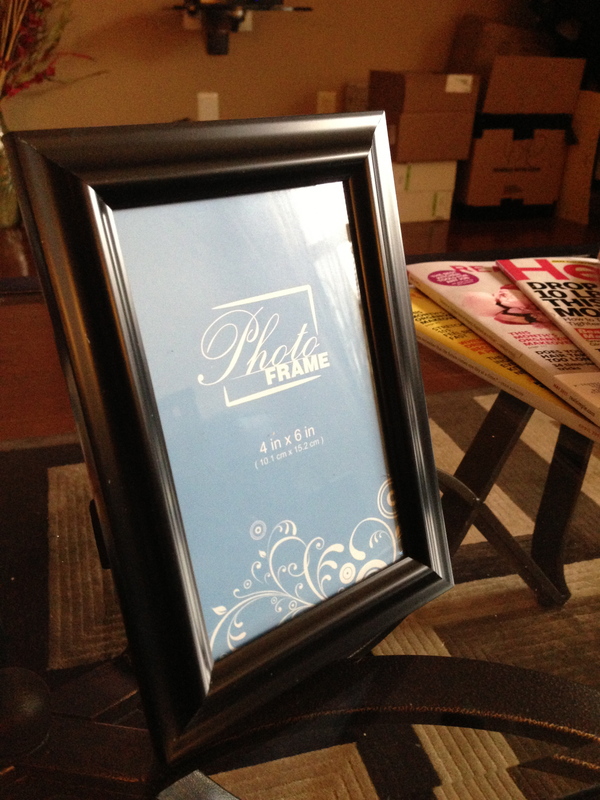 Buy some $1 frames, paint them whatever color you like, and cheat by using chalkboard contact paper (best creation ever). 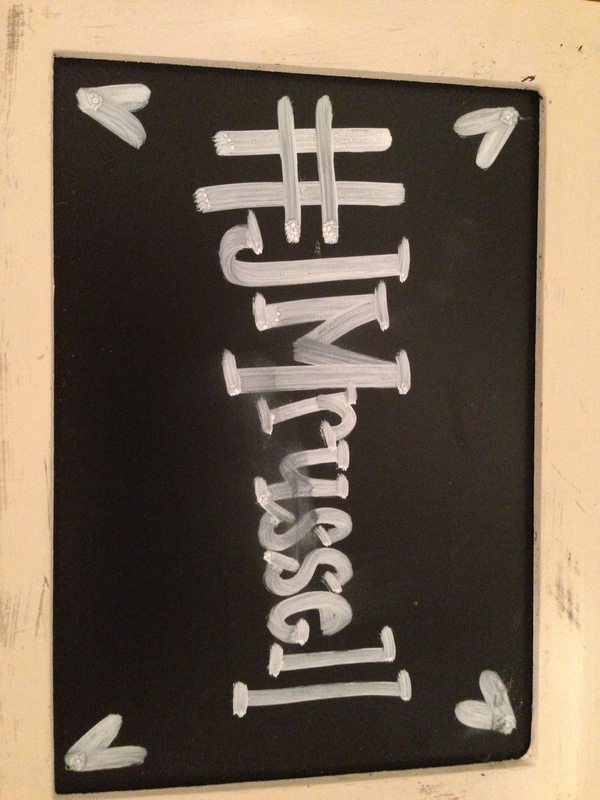 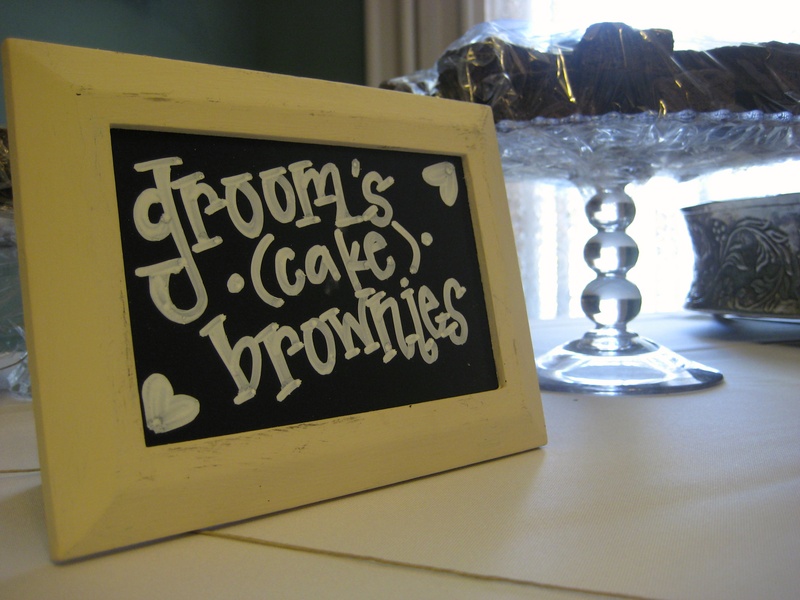 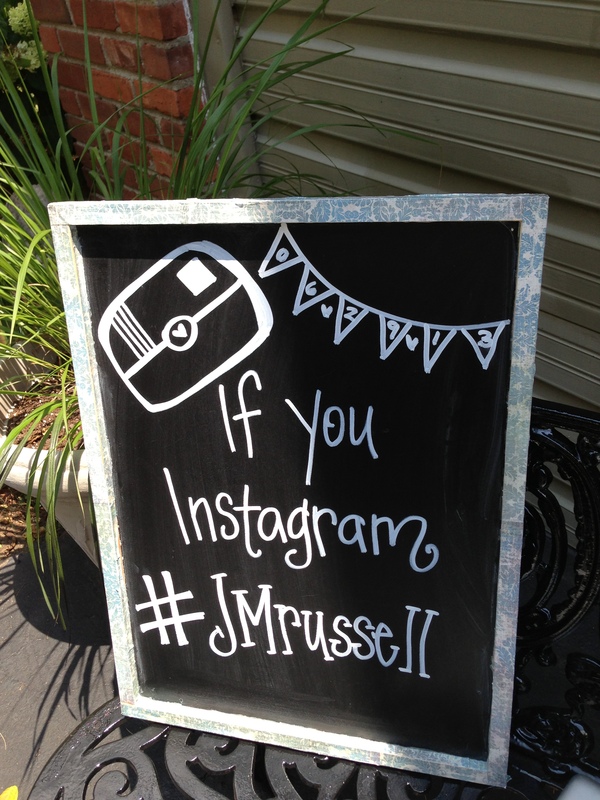 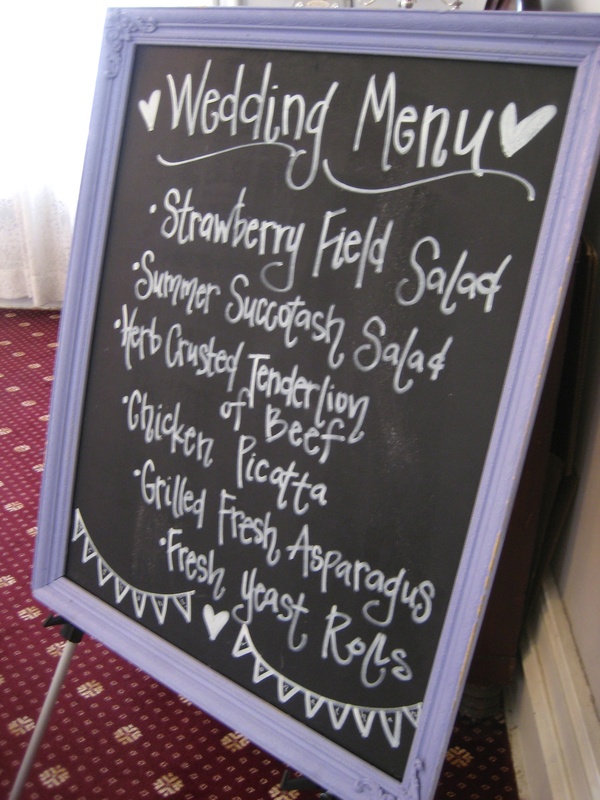 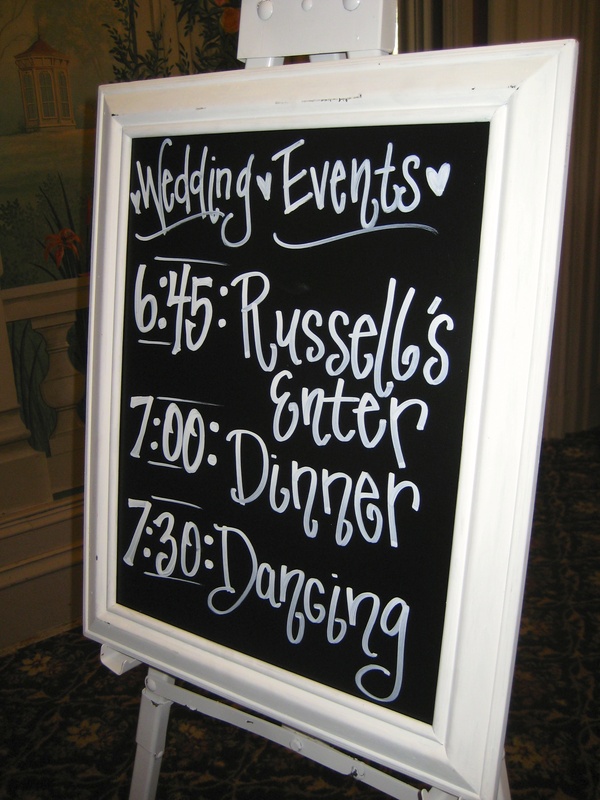 My fabulous sister-in-law, who is incredibly creative, used a chalkboard pen to write on and decorate each chalkboard. 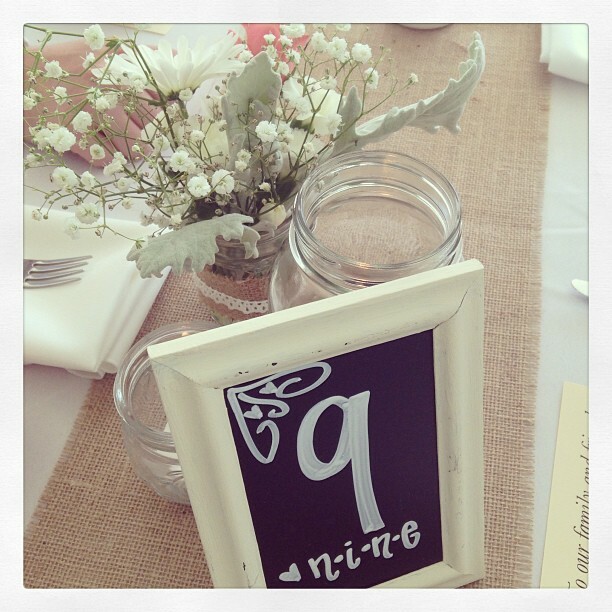 We used them for table numbers, guest information, and some other fun, sweet messages!